Last week, I purchased a Cuisinart ice cream maker from Amazon.com. 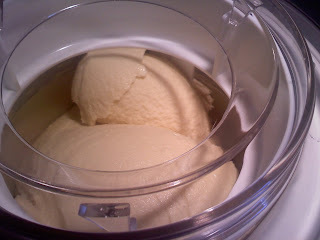 I had two reasons: first, my daughter has exhibited some lactose intolerance in the past months and there is really not much out there for lactose-free ice cream; and second, I have had good experience with store bought low carb ice cream but thought I could probably make my own tastier version, using high quality and healthy materials. Plus, the low carb ice cream on the market is pretty much all low-fat. I thought I could fatten mine up, and add in some coconut to make it feel healthy. This recipe was my very first attempt at ice cream making. 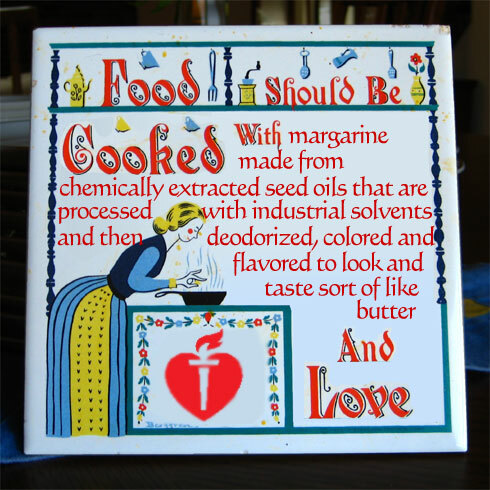 I have made several batches since, including sugar-free for me, and sweetened dairy-free for my daughter. This LCHF coconut custard ice cream recipe remains the best of all my efforts. Each 1/2 cup serving contains 6.4 grams of net carbohydrate, and 24.2 grams of healthy, mostly saturated fat from the coconut oil and milk. Enjoy! In a medium saucepan set over medium-low heat, whisk together the coconut milk, coconut oil, truvia, and salt. Bring the mixture just to a boil. While the coconut mixture is heating, whisk the egg yolks until pale and aerated. Once the coconut mixture has come to a slight boil, whisk about 1/3 of the mixture into the yolks. Add another 1/3 of the mixture to the yolks, whisking quickly, then return the combined mixture to the saucepan. Using a wooden spoon, stir the mixture constantly over low heat until it thickens slightly and coats the back of the spoon, about 2-3 minutes. Do not boil or the eggs can coagulate. Pour the mixture through a fine mesh strainer and bring to room temperature. Stir in the vanilla extract. Cover and refrigerate overnight in the lowest part of your refrigerator. Follow your ice cream makers instructions to freeze your ice cream. With my Cuisinart, I pour the mixture into the frozen freezer bowl and let it mix until thickened, about 20 minutes. This is a good time to serve it. If you have leftovers or will not eat it right after fabricating, transfer the ice cream to an airtight container and place in the freezer. When you do serve it, let it sit out for about 20 minute to soften slightly.